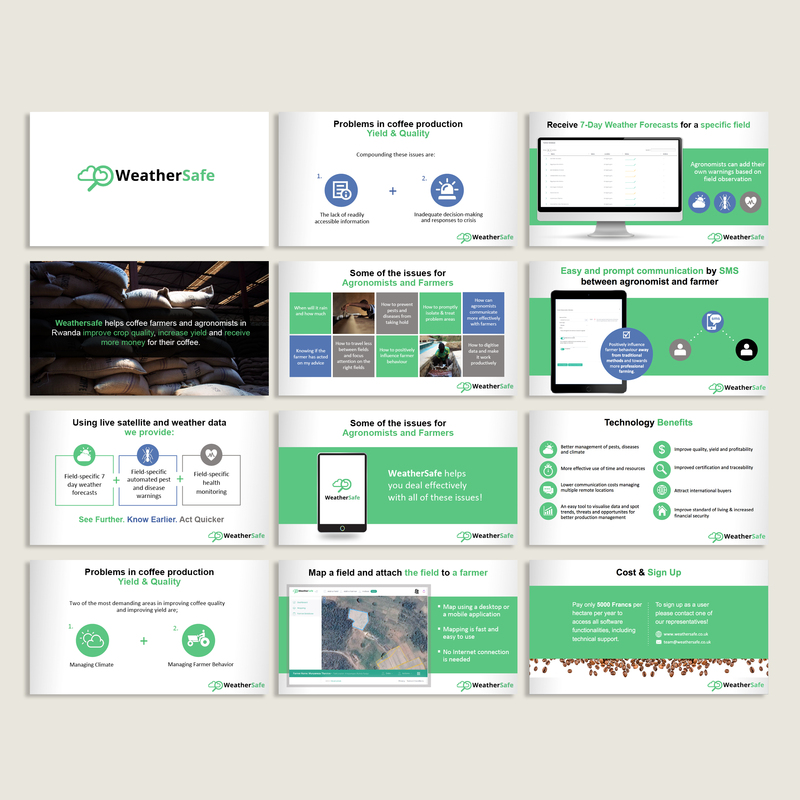 WeatherSafe based in the UK developed a valuable mobile and desktop app resource for farmers in developing countries. The app provides remote management information and intelligence to help stakeholders across the agricultural supply chain to increase the volume and quality of their crop. 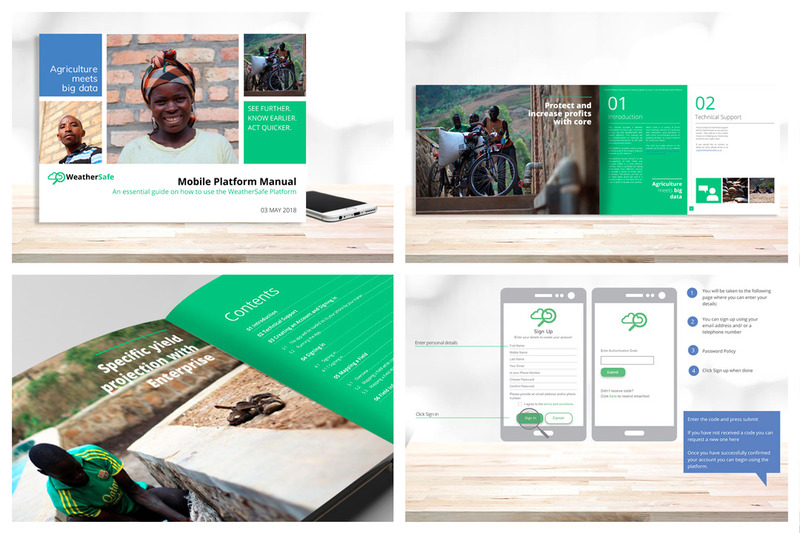 Sullyproductions designed two “how-to” training manuals, one for desktop and one for mobile users, that will assist them when working with the app. This was followed by a sales deck presentation to assist with training the end user.